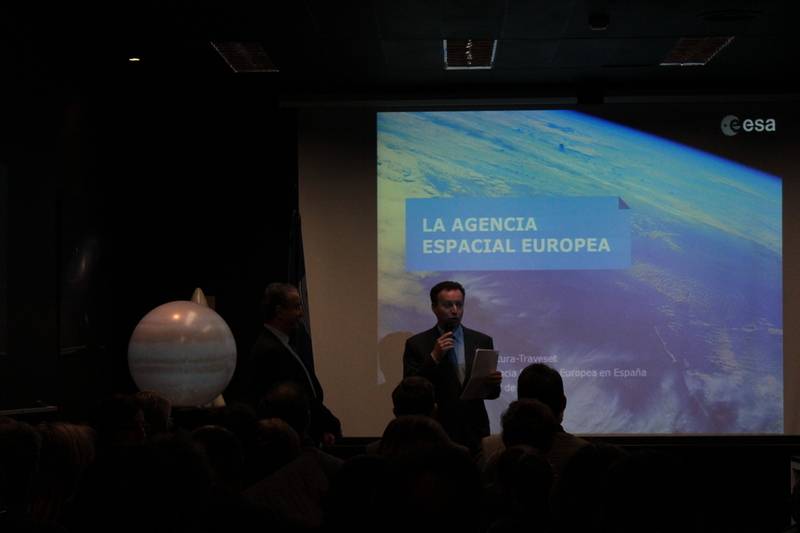 Come to ESAC to learn more about European Space Agency and space science. 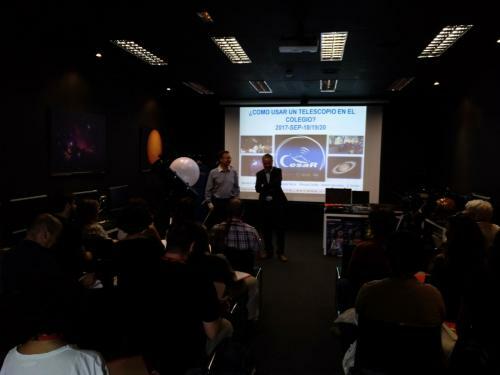 CESAR organises training courses for primary and secondary school teachers together with the "Centro Territorial de Innovación y Formación" (CTIF) of the Regional Ministry of Education of the Madrid region. 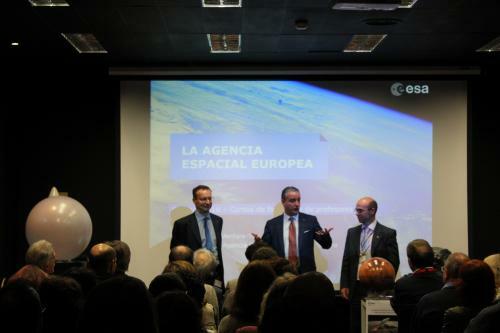 For a period of four days, from 17:00 to 20:00, ESAC scientists and engineers working on ESA missions present scientific and technical topics related to astrophysics and space exploration to a total of 65 teachers of the Madrid area. After the training course, teachers are evaluated in order to obtain an official certificate, which is valid within the frame-work of mandatory teacher training in Madrid. In 2017 we are also planning to transmit the courses online for teachers in the other provinces of Spain, in order to reach hundreds pf school teachers with each course. 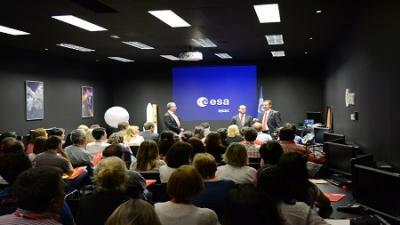 Hopefully in the future the aim is to offer this type of training course to teachers in all ESA member states. 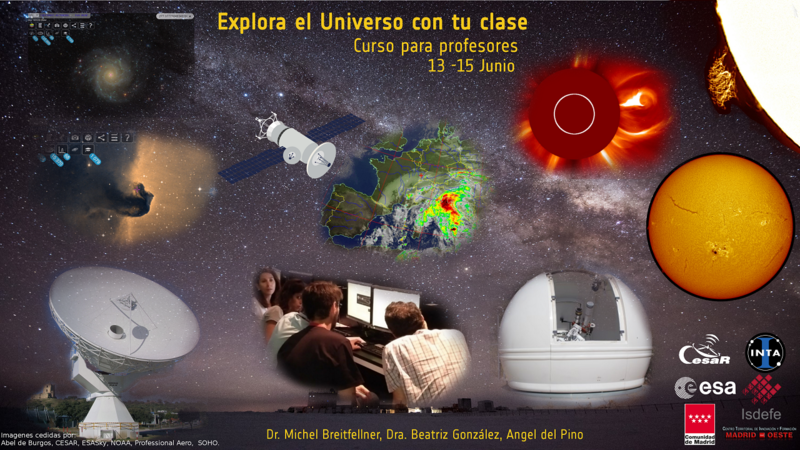 Explora el Universo con tu clase es el primer curso de la iniciativa CESAR, 100% dedicado a formar a profesores de secundaria en cómo realizar en su clase casos científicos con contenido de Astronomia y ciencias del Espacio. On the week of the 18th of September 2017, it was held at ESAC a new workshop for teachers coordinated by CTIF and the CESAR Team. The topic this time was about how to plan and execute observations with telescopes and how to extract scientific results from them. 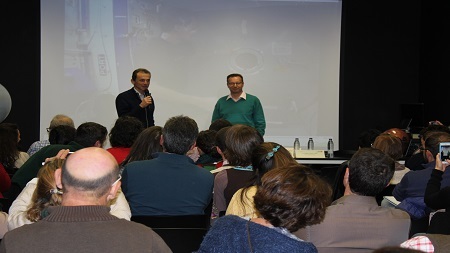 From 6 to 9 of February, the CESAR Team held a new workshop for teachers at ESAC. 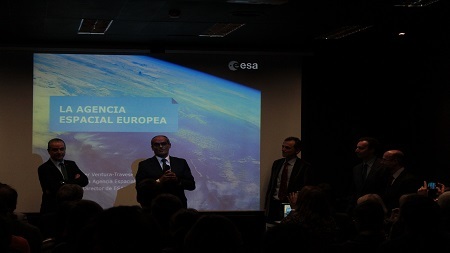 A course for teachers was given by the Community of Madrid on 17, 18, 19, and 23 May.